Five $1,000 Krylon Clear Choice Art Scholarships. 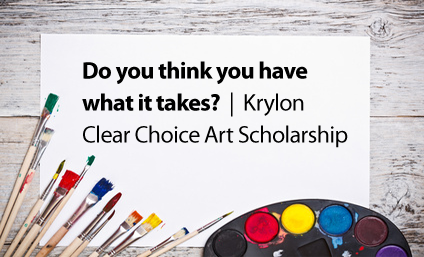 Do you think you have what it takes to be one of the next Krylon Clear Choice Art Scholarship winners? Click here to learn more about the Krylon Clear Choice Art Scholarship and obtain a copy of the 2019 application form.